We all know weeds are hard to pull when the ground is dry during a drought. You have to water them to get them out. But why do they grow so well in the first place during the hottest part of the summer when it is hard to do any gardening at all? When the heat and humidity are high, going out to garden is pretty low on my list of things to do. It seems like the weeds know this and are signaled to grow bigger while we are gone inside escaping the heat, and feeling guilty we aren’t outside pulling them. Some experts will say weeds grow because God knew sometimes we don’t fill bare ground with grass or flowers so he sent weeds down to grow with little water or care to prevent soil erosion. Hurumph! Why do they have to grow so well, though? Man rarely thinks of weeds as a good thing and we usually think about how we can kill them or control them. We rarely appreciate weeds as a necessary part of the earth. We wonder why weeds grow everywhere, especially where we don’t want them to grow. The answer is because they have a job to do and that is to protect the bare earth and add nutrients to the soil. Weeds aren’t all bad. To accomplish their job they must be hardy, drought resistant and produce millions of seeds to ensure survival and propagation. Their seeds are made to lay dormant in the soil for as many as 100 years or more so they can be ready when called upon to do their job. It has been said weeds just babysit, or I call it soilsit, until we come along and move them out to make room to plant our food, crops, grass or flowers. Some weeds are good companion planting to repel insects or to tell us of a deficiency in the soil. Daisies are known to indicate a deficiency in lime. Daisies will manufacture and collect lime and store it in its tissue. When the daisies die, they deposit the lime back into the soil. A blanket of weeds also acts as a mulch to stop loss of ground moisture, and traps rainwater that eventually will soak in rather than run off. The water will end up as filtered, crystal-clear water to replenish our springs, rivers and wells gradually instead flooding them. The weeds create a mat that prevents nutrients like phosphates, nitrates and other minerals to leach out of the soil, and helps to store plant food. Weeds are responsible for soil building and conservation. The delicious vegetables we eat today were considered weeds centuries ago before people started cultivating them. Today a lot of the plants we call weeds are cherished by many as delicacies, used as herbs, spices for cooking and also used as medicines. 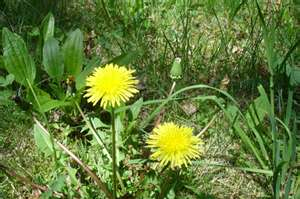 Many weeds have been valued as having therapeutic powers and medicinal value. They are called herbs, but aren’t they really weeds? So now do you know why weeds persist when other plants die off or go dormant during the hot summer? Because they have to. If their survival were left to us, we would let them perish and die, but now we know why we need them. So the next time you yank the weeds out of your garden, bid them adieu, thank them for soil-sitting, nurturing the soil and turning it over to us to give our plants a new home to grow in. Weeds still will be more work for farmers and gardeners, but maybe knowing what their purpose is will help us feel a little respect for them and not hate them so much. They have a purpose, too. DARLENE RAYof Serena is a University of Illinois Extension Master Gardener and a gardening instructor for Illinois Valley Community College’s Continuing Education Center. She can be reached via email through mikem@mywebtimes.com.